It hit me hard this morning like these things often do, that a part of me has been broken. For five years in the late 1980’s and 1990’s I worked at a County animal shelter. It is decades later and I’m now realizing the impact, the mental residue from what I thought was my dream job. For five years I witnessed hundreds of dogs and cats being led into the back room, the room of death, later seeing their lifeless bodies on the floor. Each was thrown carelessly into the furnace to be cremated and forgotten. I listened to the talks at work about pet overpopulation and the need to educate the public. But the trail of death never ended or even lessened. I never cried. It is only recently that their bodies have returned to haunt me. I’m not sure why. I tried to save them all but only saved a few. In my own mind at that time I rationalized that many animals’ deaths were a better option from abandonment or a life in the wild, that in most cases their death was a release from pain. Times have changed for the better. The small cement building where I worked has been torn down. There were accusations of poor management and employee abuse. The media became involved and wrote about animals sold “as is”, without spay or neuter contracts, and high prices demanded for purebred dogs, so people could and would breed more puppies and therefore keep the cycle of death going. Many of us quit for other jobs within the County. 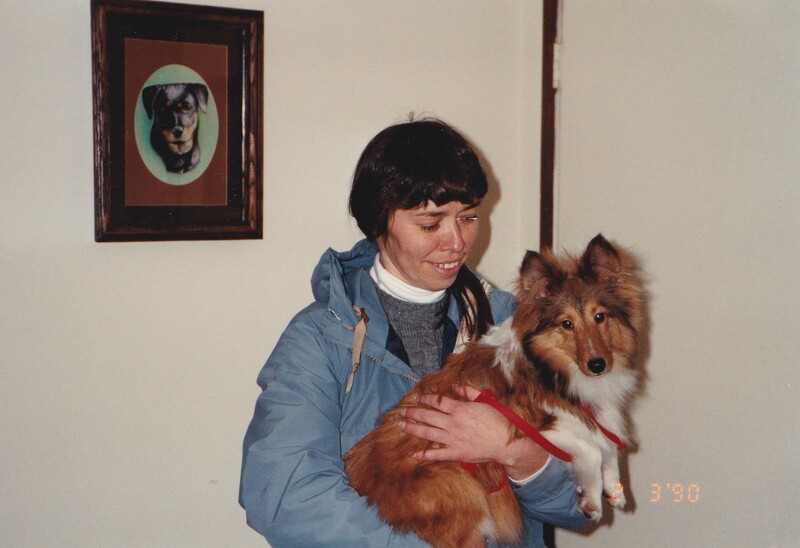 Now a friend runs the new animal shelter, Deborah Wood, a compassionate and caring person, an obedience competitor and author, who is articulate and well-educated. You can and should visit the Washington County Animal Shelter to see what a difference a positive attitude and caring management can make to the care of dogs and cats (and occasionally pigs, etc.). I have also kept in touch with a former Dog Control Officer. We’ve both moved on, both of us showing dogs, but I know she’ll never forget that dark place where we witnessed so much. Does she cry now, I wonder? I’ve never asked. But the memories from those five years brought me to uncontrollable tears today. I can’t go into animal shelters any more. I volunteered at an adoption event at a local Florida shelter years ago. But watching the dogs go to homes simply because people had money brought back too many memories for me. I ended up behind the shelter in tears, crying for all the lives lost. And I wonder still if the shelter ever followed up on the new homes and how many animals came back again unwanted. Now I do my part in my own world, surrounded by well-loved, well cared for animals, their every comfort catered to, giving back, making up for what I couldn’t do back then, one dog at a time. Maybe the reason I’m so upset lately is that there have been ongoing stories about the good work a local group, Pensacola Equine Rescue, is doing which is usually full and always needs money, foster homes and equipment. I have only to say the word and I can go there and volunteer. Can I witness a pasture of abused, neglected and unwanted horses? Can I look into their eyes and see the dullness and not end up in a puddle of grief in my car? There are also some horse events taking place this month. The entire month of January many pampered, expensive show jumpers will compete at the local equestrian center for thousands of dollars in prizes, plus trophies and ribbons. They are the pretty side of horse ownership and care. After they leave, the BLM Wild Horse and Burro Adoption event will move in for a day, the other side of the coin. Can I be dispassionate and take pictures, interview people for my blog, without wondering about the horses and burros that won’t be “good enough” to be adopted? What happens to them? I’ve got to move forward. Now I CAN stand up. Now I CAN be a voice for unwanted dogs and cats and horses. Now I CAN write and photograph and make people aware and ask for help. I need to stay strong. I need to do this for the abandoned, neglected dogs, cats and horses whose ghosts have come back to haunt me; because one person CAN make a difference. But, note to self: bring Kleenex. This entry was posted in Animal Shelter Stories and tagged BLM Horse and Burro Adoption, Pensacola Equine Rescue, Pet overpopulation, Washington County Animal Shelter. Bookmark the permalink.